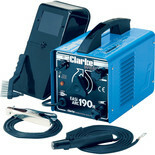 A step up from the basic home user model, this 110amp arc welder is ideal for simple fabrication and repair jobs. 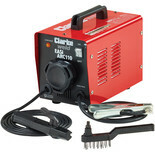 The extra power simply provides more flexibility in the welding process. 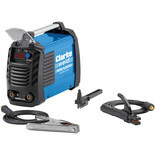 A portable, easy to use arc welder ideal for the DIY enthusiast or semi professional. 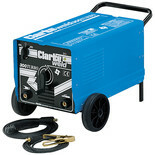 Can be used around the house, workshop or garage for general repairs and light fabrication. 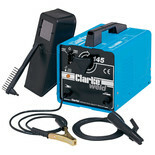 A sturdy mid-range single phase stick welder, capable of handling rods up to 4mm diameter; suitable for a wide range of metal construction and repair work, both automotive and industrial. 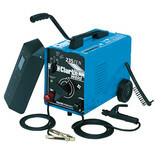 A portable, easy to use Arc Welder ideal for the DIY enthusiast or semi professional. 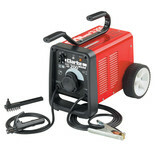 It can be used around the house, workshop or garage for general repairs and light fabrication. 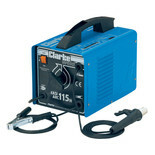 High performance is assured with this industrial duty 270 Amp Arc Welder due to its highly efficient turbo fan cooling. It features top quality components and unquestionably good value for money. 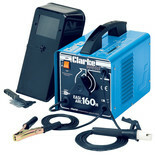 With 140 Amps maximum power, and heavier duty components, this entry model to our professional arc welding range is great for a wide range of metal fabrication, repair and maintenance work. 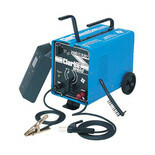 This top of the range 400 Amp industrial Arc Welder takes all manner of work in its stride, from commercial vehicle repairs to security ironwork. 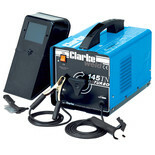 This professional 240 amp Arc welder features an extra heavy duty transformer for superior performance, with a welding capacity up to 5mm thickness. 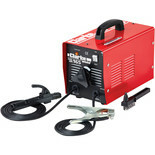 Machine Mart stock a range of DIY arc welders, ideal for a variety of uses in the home garage or workshop. 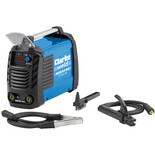 Whether you are a car enthusiast wanting to restore a vehicle, or if you are a home craftsman or DIY enthusiast, you'll find an arc welder to be an indispensible tool for repair and fabrication jobs. Machine Mart stock a huge selection of tools (including arc welders) suitable for everybody from DIY enthusiasta through to professionals. We supply tools from all the top brands such as Bosch, Clarke, Ryobi and Dewalt. You can buy online now, order by phone, or visit any of our superstores across the country. We offer a huge range of tools and equipment at competitive prices.